Lab Owl and Automated Control Concepts, Inc to participate in the ISPE Annual Meeting and Expo. Lab Owl and Automated Concept Controls, Inc. (ACC) are pleased to announce that we will be exhibiting at the ISPE Annual Event and Expo November 5th through the 7th 2018 at the Pennsylvania Convention Center in Philadelphia, PA. Our powerful bioreactor control and information system is garnering … [Read more...] about Lab Owl and Automated Control Concepts, Inc to participate in the ISPE Annual Meeting and Expo. Lab Owl™ and ACC are at the ISPE Boston Product Show! Visit Lab Owl™ and ACC in booth W128 today at the ISPE Boston Product Show. Kurt Elam and Arlene Weichert are there talking to customers about their cell culture, fermentation and process manufacturing challenges. … [Read more...] about Lab Owl™ and ACC are at the ISPE Boston Product Show! Lab Owl™ and Automated Control Concepts, Inc to participate in the 27th annual ISPE Boston Product Show. 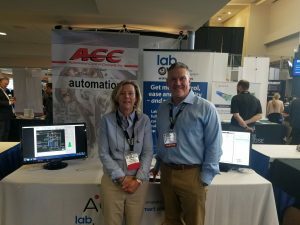 Lab Owl™ and Automated Concept Controls, Inc. (ACC) are pleased to announce that we will be exhibiting at the ISPE Boston Product Show on Wednesday, September 26th 2018 at Gillette Stadium in Foxborough, MA. Our powerful bioreactor control and information system is garnering significant attention in … [Read more...] about Lab Owl™ and Automated Control Concepts, Inc to participate in the 27th annual ISPE Boston Product Show.